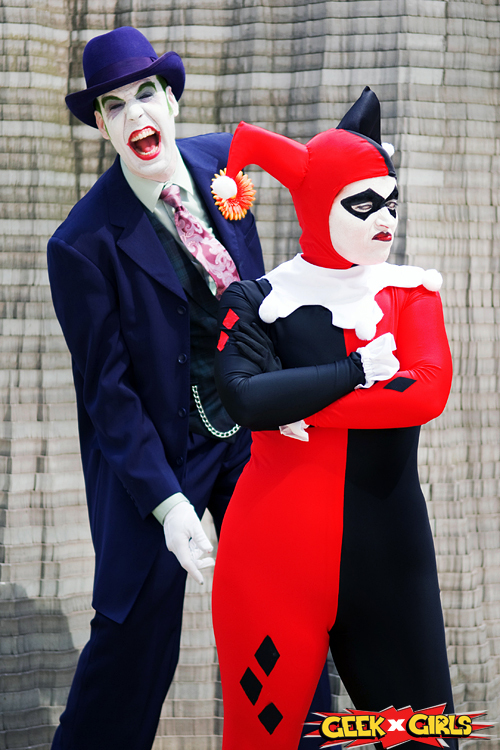 "My husband and I started cosplaying as Joker and Harley in 2001 at our annual Halloween party. 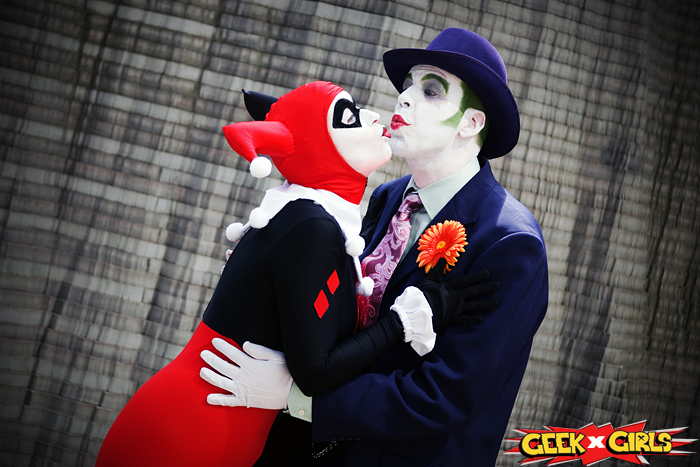 And it turned into one or our favorite couple cosplays ever. We ended up winning Best Presentation in Novice category at Fan Expo in 2005 and the obsession just keeps growing. 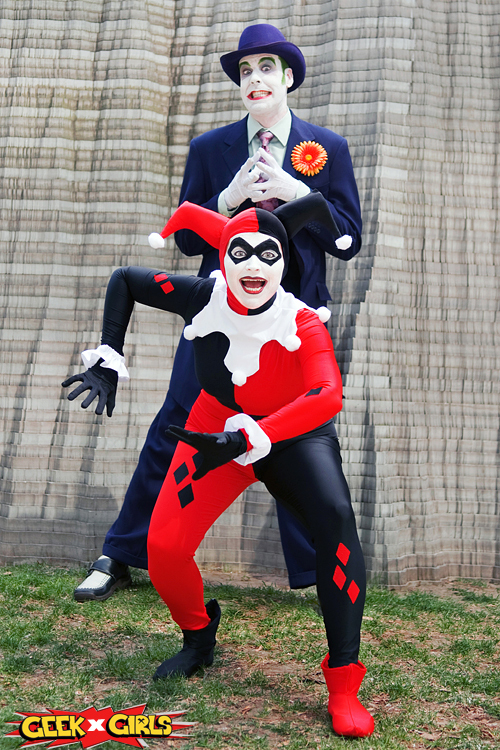 And it was at the Fan Expo that we were spotted by a DC rep and awarded a prize for best representation of DC characters. 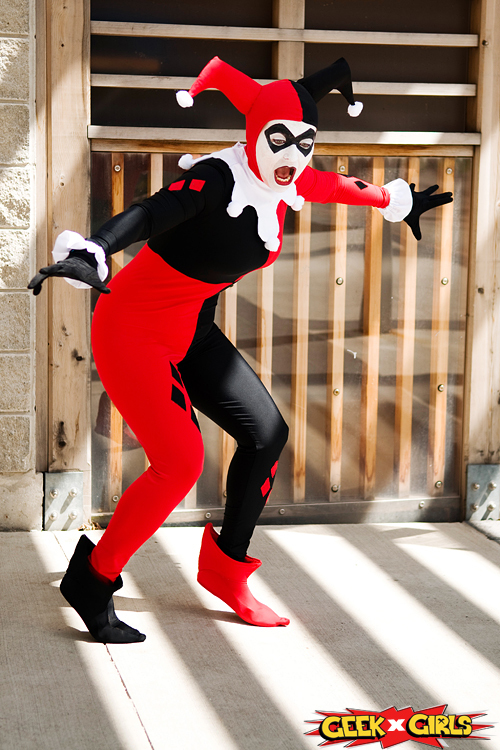 We got the opportunity to shoot with Wandering Dana at Wizard World and loved every minute of the fun and kooky photoshoot running around like crazy people. Our newest incarnations of J & H are the Rockabilly ones by artist Denis Medri which we debuted at Ottawa Comic Con 2013. 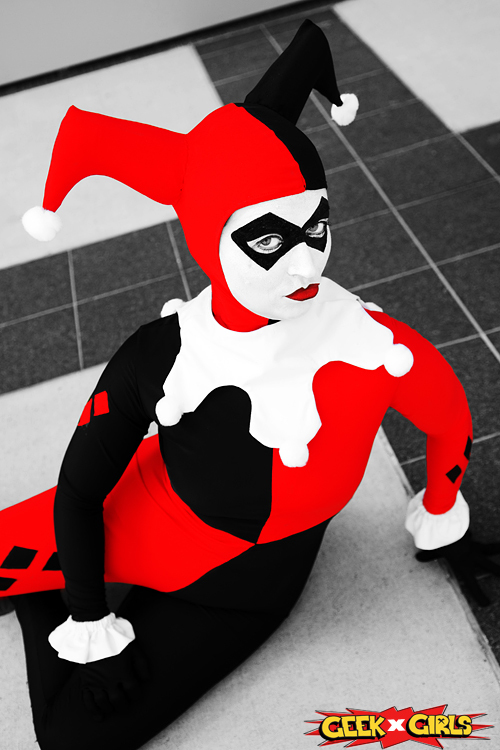 This shoot at Wizard World led to others and hopefully more in the future. 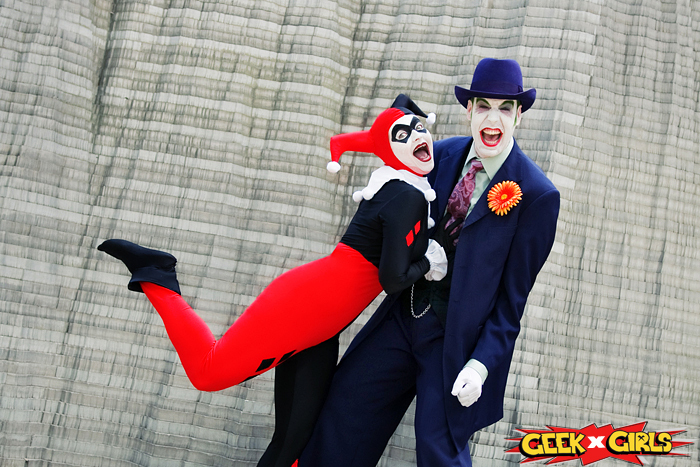 Go Geek X Girls!" 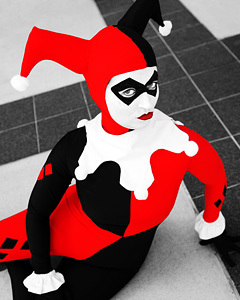 We believe there is a little bit of Harley in everybody. 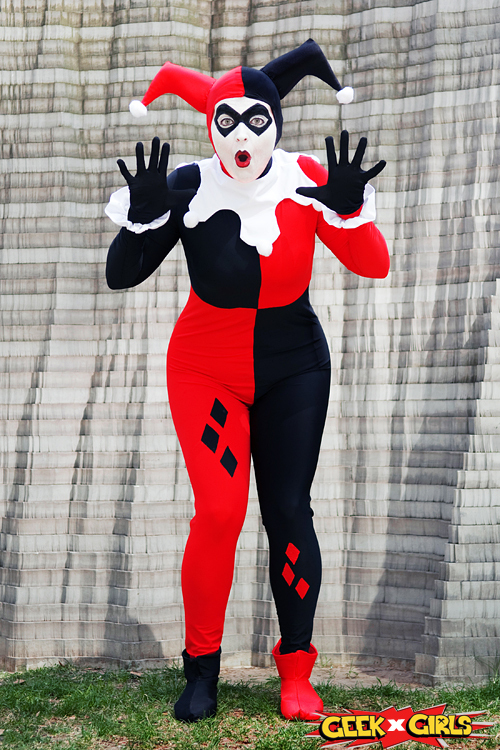 How better to show your inner crazy then by ordering one of our lovely Harley Quinn Prints? 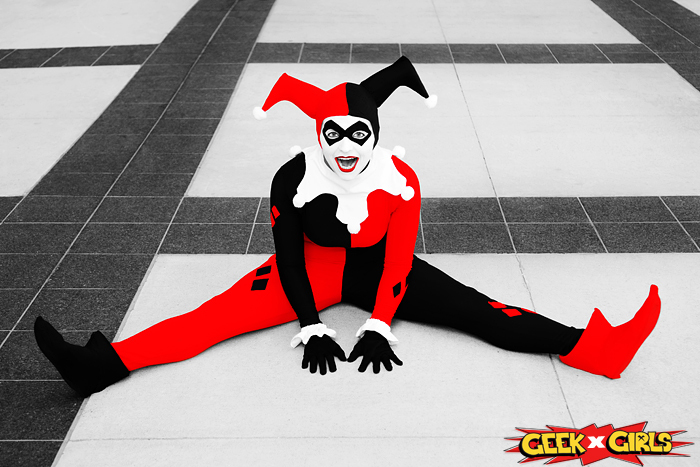 Take a look at Geek Girl Critical Miss' profile to see more photos and learn more about her.